Hear amazing accounts of God’s work among Muslims, and gain a solid understanding of Islamic beliefs to become an effective ambassador for Jesus! 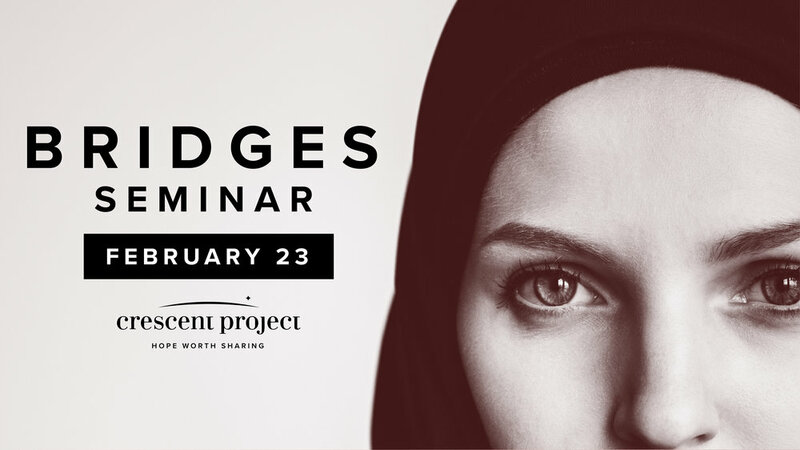 The Bridges Seminar is a dynamic one-day seminar that equips Christians to compassionately and effectively share Jesus with their Muslim neighbors. Through real-life stories and practical teaching, participants learn how to “bridge” the gospel using concepts familiar to Muslims, and how to respond to common objections Muslims raise regarding Christianity. Learn more and watch what people are saying about the seminar at crescentproject.org/bridgesseminar.